Having explored previously the role that goodwill ambassadors played in the geopolitics and image-making during the Cold War for racial-relations and progress (albeit slow, insincere and woefully incomplete) with the grand international tours of the likes of legends like Louis Armstrong and Duke Ellington as cultural attachés to show the US as an enlightened and equitable society though still tragically treated not much better once back in America, we found this quite well researched and lucid thread—via the inestimable Kottke—involving credentialed ambassadors to be a fascinating, parallel example to consider. Post World War II saw a tranche of decolonisation in Africa and South East Asia which meant a lot more nations now controlled their own foreign policy and sent ombudsmen off to world capitals and at the UN. 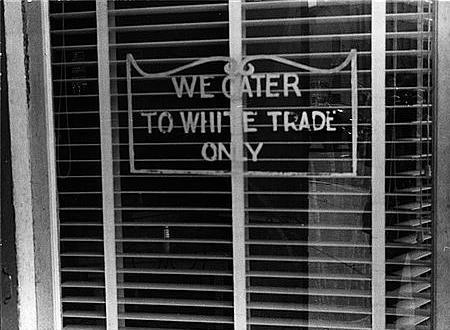 In the 1950s and 1960s (and lingering to this day in various forms), segregated restaurants in in the area around Washington, DC and along the corridor connecting Washington to New York City (US Route 40, known as America’s Main Street) refused to serve these newly minted missions to America. 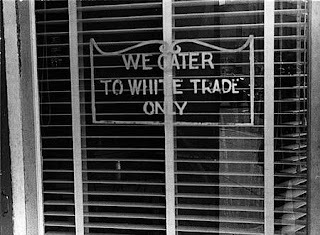 Concerned that these African countries might take offense at America’s institutionalised racism and would instead place their fate in Soviet Communism, President Kennedy intervened and demanded that the restaurants make concessions in the name of national interest and relented. The same accommodations were not extended, at least not right away and without more work to be done in the name of civil rights to include an aspirational vision—to locals pretending to be African ambassadors.